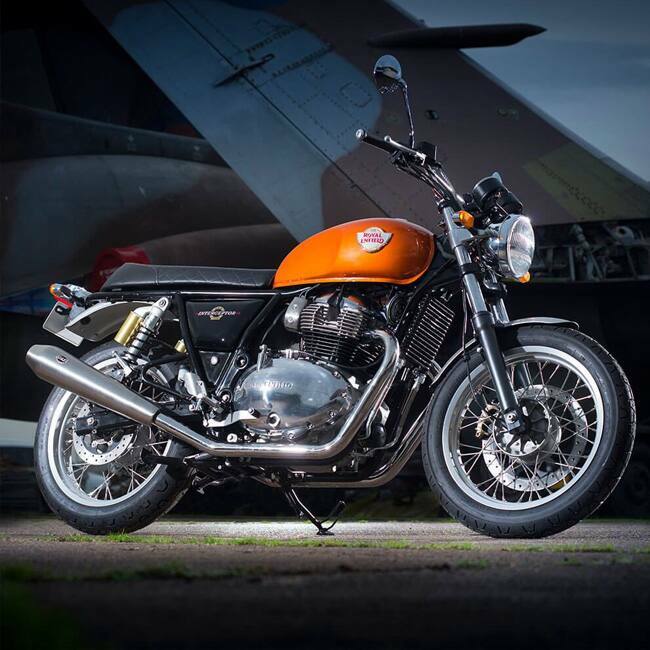 Along with the Royal Enfield Interceptor 650 Twin, the company also gave us a glimpse of the rather good-looking Continental GT 650 Twin. This marked the first occasion that Royal Enfield showcased motorcycles with a parallel-twin engine. The Interceptor and the Continental GT 650 share the same chassis and engine, of course. But that's where the similarities end broadly. 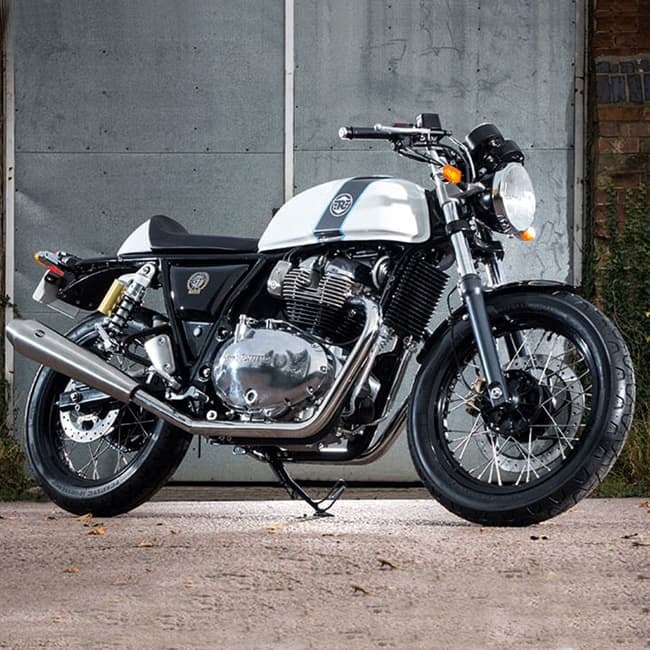 A first look at the Continental GT 650 might lead you to believe that the bike is absolutely similar to the standard Continental. 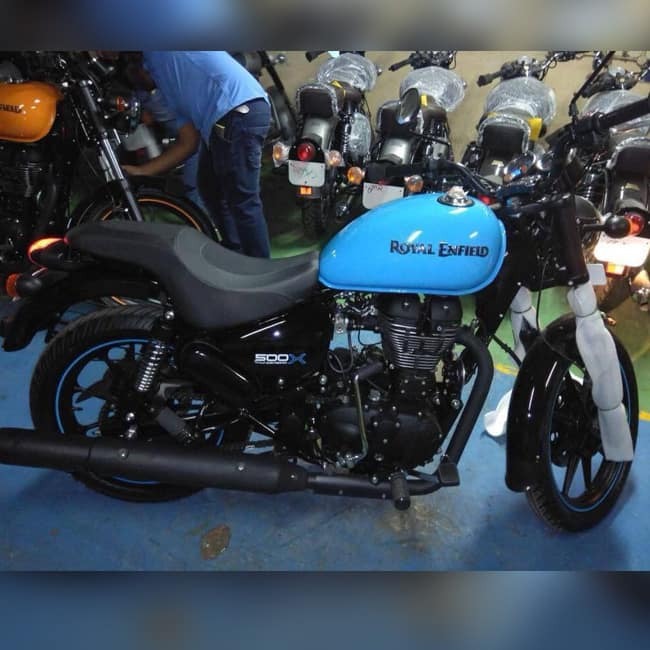 Royal Enfield Thunderbird 500X will come in a new dual tone colour scheme, a lot similar to the Classic 350 Redditch editions. 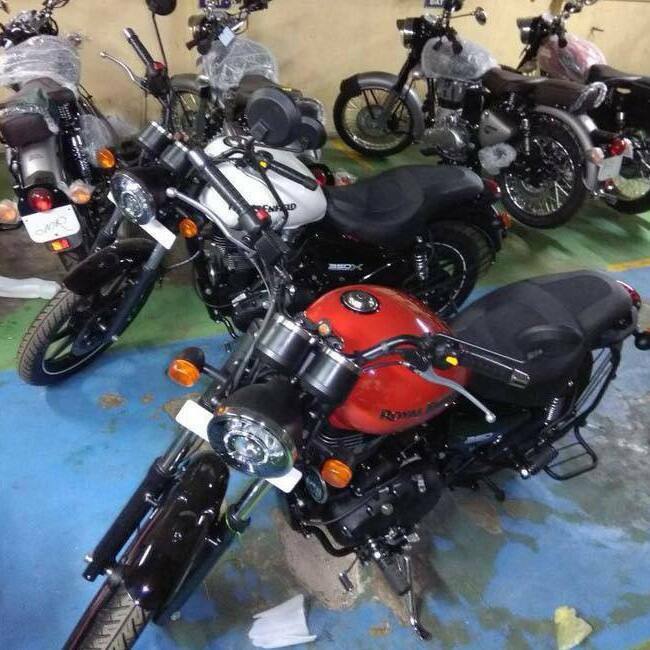 Like the Redditch edition, the bikes will essentially come with a glossy black base coat with the fuel tank painted in a contrast vibrant colour. The images reveal that there will be a total of four colour options - Red, Yellow, Blue, and White. The side panel will come with the 'Thunderbird 500X' badging instead of the standard Thunderbird 500. It is expected to be launched at a price of Rs. 2 lakhs in February 2018. The Thunderbird 350X will get matte-black 9-spoke units, which deviate from RE’s retro design language. Given its expected ‘younger’ target audience, it would be interesting to see if the bike maker has opted for a smaller (and uniform; the present Thunderbird runs a 19-inch front/18-inch rear) 18-inch front wheel to boost its handling and flickability.It will be launched in February 2018 at a price of Rs. 1.60 lakhs. The first twin-cylinder engine from Royal Enfield sports a parallel twin configuration with a 270-degree firing order. It generates 47bhp and 52Nm at 7100rpm and 4000rpm respectively. There is no liquid cooling but the oil does have a radiator, and fuel delivery is via a Bosch injection system. Still, another first for RE is the inclusion of a six-speed gearbox. The braking system has single discs front and rear, and ABS will be standard. It will be priced at Rs. 3.50 lakhs and launched in April 2018.